"NASA is seeking proposals from accredited U.S. universities focused on innovative, early-stage space technologies that will improve shielding from space radiation, spacecraft thermal management and optical systems. Each of these technology areas requires dramatic improvements over existing capabilities for future science and human exploration missions. Early stage, or low technology readiness level (TRL) concepts, could mature into tools that solve the hard challenges facing future NASA missions. Researchers should propose unique, disruptive or transformational space technologies that address the specific topics described in this new solicitation." "Media representatives are invited to see middle-school students and their teachers demonstrate science lessons and highlight selected images provided by twin NASA spacecraft studying the moon from crust to core. The event will take place from 10 a.m. to noon EDT (7 a.m. to 9 a.m. PDT), PM Friday, June 1, at the Ronald Reagan Building and International Trade Center located at 1300 Pennsylvania Ave. NW in Washington. The event showcases an education and public outreach project called MoonKAM (Moon Knowledge Acquired by Middle school students). MoonKAM provides students around the world with an opportunity to identify and choose images of the moon's surface using small cameras aboard NASA's Gravity Recovery and Interior Laboratory (GRAIL) mission. To date, thousands of images of lunar targets have been selected by fifth- to eighth-grade students." "Students from across Europe have been selected as the winners of the ESA's 'Explore the high-energy Universe' competition. Secondary school students were invited to choose from four projects relating to ESA's Integral gamma-ray observatory in which they were challenged to Observe, Research, Design, or Build. To participate, students took on the roles of engineers, scientists, and astronomers to explore the extreme and ever-changing high-energy Universe, including black holes devouring matter, colossal explosions known as gamma-ray bursts, and supernova explosions. Entries were received from all over Europe, including France, Italy, and Romania." "Five universities have been selected to participate in the 2013 Exploration Habitat (X-Hab) Academic Innovation Challenge led by NASA and the National Space Grant Foundation. These universities will design habitat systems, concepts and technologies that could be used in future deep space habitats. The selection is the first milestone in a year-long process for these five teams. Throughout the 2012-2013 academic year, the teams will meet a series of milestones to design, manufacture, assemble and test their systems and concepts in cooperation with the NASA Advanced Exploration Systems (AES) Program's Habitation Systems Project team." "Space innovators at the University of Surrey and Surrey Satellite Technology Limited (SSTL) are developing 'STRaND-2', a twin-satellite mission to test a novel in-orbit docking system based upon XBOX Kinect technology that could change the way space assets are built, maintained and decommissioned. STRaND-2 is the latest mission in the cutting edge STRaND (Surrey Training, Research and Nanosatellite Demonstrator) programme, following on from the smartphone-powered STRaND-1 satellite that is near completion. Similar in design to STRaND-1, the identical twin satellites will each measure 30cm (3 unit Cubesat) in length, and utilise components from the XBOX Kinect games controller to scan the local area and provide the satellites with spatial awareness on all three axes." "Nancy Conrad, founder and chairman of the Conrad Foundation, today announced the Foundation has joined forces with NanoRacks LLC, the leading company for low-earth orbit utilization, to launch a new program called DreamUp. The program will assist students in raising money to participate in a unique educational experience - conducting experiments in the microgravity of space. DreamUp is the first program to enable students to use American Express(R) Membership Rewards(R) points to fund student experiments onboard the International Space Station (ISS)." "New research from North Carolina State University shows that a wind-driven "tumbleweed" Mars rover would be capable of moving across rocky Martian terrain - findings that could also help the National Aeronautics and Space Administration (NASA) design the best possible vehicle. "There is quite a bit of interest within NASA to pursue the tumbleweed rover design, but one of the questions regarding the concept is how it might perform on the rocky surface of Mars," says Dr. Andre Mazzoleni, an associate professor of mechanical and aerospace engineering (MAE) at NC State and co-author of a paper describing the research. "We set out to address that question." Since their initial development and launch in the early 2000's, the CubeSat platform has captured the imagination and energy of our next generation of spacecraft technologists around the world. Once thought of by the established space community as "toys" and educational novelties, the CubeSat has revolutionized the space-community and broken the acceptance barrier with proven development and on-orbit performance. Leveraging CalPoly's published specification, CubeSats have demonstrated the advantages of a common form factor that can be launched and deployed using a common deployment system by smashing the cost-to-orbit price-point while offering significant mission manifest flexibility. The challenge now lies in transitioning the strengths and success of the CubeSat to mainstream science investigations. While the CubeSat's successes combined with today's budget constraints have served to open the established space community to discussions of innovative ideas to reduce costs; it faces both perceived and real constraints related to mission applications, reliability, payload performance, communications, and operations. The CubeSat model must be evolved to penetrate the stigmas and applied appropriately to become an accepted tool in the world of mainstream science investigations. 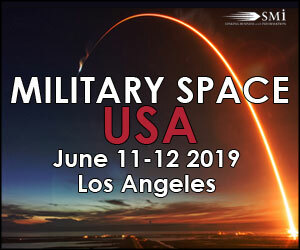 This paper identifies issues and presents potential solutions and lessons-learned regarding these issues based on several recent mission concept developments for potential real-world applications. "The SpaceX Dragon capsule, which on Tuesday became the first commercially developed and built spacecraft to launch to the International Space Station, is carrying among its cargo a suite of 15 science experiments designed by students. Known collectively as Aquarius, the experiments will assess the effects of microgravity on physical, chemical and biological systems. The students have been immersed in every facet of research, from definition of the investigation to experiment design, proposal writing and a formal NASA proposal review for selection of flight experiments." "NASA released Monday an updated version of the free NASA App for iPhone and iPod touch. The NASA App 2.0 includes several new features and a completely redesigned user interface that improves the way people can explore and experience NASA content on their mobile devices. A team at NASA's Ames Research Center in Moffett Field, Calif., completely rebuilt the NASA App for iPhone and iPod touch. It now has a fast and intuitive interface for the approximately 4.7 million people who've downloaded it so far. Other new features of NASA App 2.0 include weather forecasts in the spacecraft sighting opportunities section; maps, information and links to all of the NASA visitor centers; a section about NASA's programs, as well as the ability to print, save and access favorite items, and bookmark images. The NASA App 2.0 requires iOS 5.0 or later." "The Japan Aerospace Exploration Agency (JAXA) would like to announce that the Small Demonstration Satellite-4 (SDS-4) completed its critical phase operations and moved to the initial phase. The SDS-4 was launched by the H-IIA F21 at 1:39 a.m. on May 18, 2012 (Japan Standard Time) as a secondary payload with the Global Change Observation Satellite 1st - Water "SHIZUKU" (GCOM-1.)" "Liquid Robotics(R), an ocean data services provider and developer of the Wave Glider(R), the first wave-powered, autonomous marine robot, today launched the PacX Wave Gliders from the Big Island of Hawai'i on the final phase of a first-of-its-kind scientific expedition across the Pacific Ocean. Continuing their record-breaking journey across the high seas with approximately 5000 nautical miles until their final destinations of Australia and Japan, the Wave Gliders have collectively already traveled more than 13,000 nautical miles. This is more than 2x the distance from San Francisco to Tokyo, Japan. During their voyage, the Wave Gliders are collecting and transmitting in near real-time, unprecedented amounts of ocean surface data on a scale never before continuously collected across the Pacific Ocean." Flexure Engineering is creating the LunarCubes Working Group and LunarCubes workshops to promote the creation of a standard to facilitate the development of low cost, rapid development payloads that easily could be added to the many Lunar opportunities that will arise in the coming decades. "Nano-satellites are popular among universities and gaining momentum with commercial and government organizations. Standards based satellite buses and deployment mechanisms, such as the CubeSat and Poly Pico-satellite Orbital Deployer (P-POD), have stimulated growth in the area. Small satellites have proven capable and cost effective in many areas traditionally dominated by large satellites, however many challenges remain. Beyond state of the art research is needed to drastically reduce the size, weight and power of payloads that have traditionally performed Naval space missions on much larger satellites. 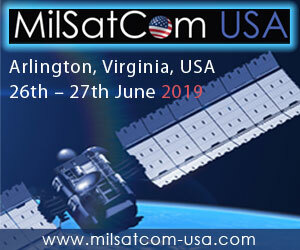 Traditional Naval space missions include narrowband communications (UHF Follow On, Mobile User Objective System), astrometry (Joint Milli-Arcsecond Pathfinder Survey), and ocean sensing (GEOdetic SATellite, GEOSAT Follow On). Other missions of Naval interest will also be considered. Smaller, more cost effective satellites will enable the Navy to continue vital space missions despite limited resources." What makes ExoplanetSat even more un-NASA-like is that it began as a class project -- although admittedly, the class was at MIT. It was a design-and-build course, which the university's engineering students have to take in order to graduate. In a recent semester, the class was co-taught by Sara Seager, an astrophysicist who has done groundbreaking research studying how the atmospheres of planets orbiting distant stars might look like from earthly telescopes. Seager recruited five science undergrads to join her engineers, on the theory that out in the real world, they'd eventually have to work with engineers anyway. "More broadly, the Obama administration has pushed prizes for technological advances, sponsoring 150 contests across 40 agencies since 2010. NASA has helped lead the way, handing over $6 million to 23 prize-winning companies since 2005 for such items as better astronaut gloves and more fuel-efficient airplanes. From 2000 to 2007, philanthropic groups have put up some $250 million to spur technologies as varied as robotic moon rovers and cheaper tests for tuberculosis, according to a recent report from the White House Office of Science and Technology Policy." "More than 50 teams of undergraduate and graduate students from eight countries will come to NASA's Kennedy Space Center in Florida May 21-26 to take part in the third annual Lunabotics Mining Competition. The teams have designed and built remote controlled or autonomous robots that can excavate simulated lunar soil. During the competition, the teams' designs, known as lunabots, will go head-to-head to determine whose machine can collect and deposit the most simulated moon dust within a specified amount of time." "NASA has selected the 2012 class of Space Technology Research Fellows. Forty-eight students will receive graduate student fellowships from NASA's Space Technology Program to pursue master's or doctoral degrees in relevant space technology disciplines at their respective institutions. Through the Space Technology Research Fellowships Program, NASA is providing the nation with a pipeline of highly skilled engineers and technologists to improve U.S. competitiveness while developing the intellectual and technological foundation needed for future science and exploration missions. The program is part of a renewed emphasis on technology at NASA, which is designed to inspire the nation and contribute to an innovation-driven economy." "As the President said at the launch of his Educate to Innovate campaign to improve science, technology, engineering and math (STEM) education, "I want us all to think about new and creative ways to engage young people in science and engineering, whether it's science festivals, robotics competitions, fairs that encourage young people to create and build and invent -- to be makers of things, not just consumers of things." That's why today, we are excited to highlight a new effort that responds to the President's call to action: the Maker Education Initiative (MEI). With leadership from Dale Dougherty, a White House Champion of Change and founder of Maker Faire, MEI has founding sponsorship from Cognizant, Intel, and O'Reilly Media. The mission of the Maker Education Initiative is to create more opportunities for young people to make, and--by making--build confidence, foster creativity, and spark interest in science, technology, engineering, math, the arts--and learning as a whole. MEI wants young people to join--and eventually lead--the growing Maker Movement." "During the 2010-11 field season in Antarctica, personnel at the South Pole Station used a series of small explosions to collapse several old buildings, which had been buried under the ice for decades but that had become a hazard to surface travel. The question this past season: Was it now safe to travel over an area known as Old Pole, the first research station built by the United States back in the 1950s? The U.S. Antarctic Program enlisted Yeti to find out. No, not the 10-foot-tall creature with a serious hirsute problem. This Yeti doesn't come with hair -- just four wheels, a metal body, a bunch of batteries and high-tech radar. It's the creation of Dartmouth College's Thayer School of Engineering, specially designed to operate in the polar regions." "What will it take for future cubesat projects to provide the crucial measurements from space needed to solve critical societal problems, such as climate change, land use and resource management, pollution and disaster monitoring, communication and space weather? On May 24, NSF will host an event titled: "Workshop to Explore the Utility of Cubesat Projects for Scientific Research and Technology Advances and STEM Education and Workforce Development." Scientists, engineers and educators will showcase their current NSF-funded cubesat science and engineering projects." "NASA is lending the Galaxy Evolution Explorer (GALEX) to the California Institute of Technology (Caltech) in Pasadena, where the spacecraft will continue its exploration of the cosmos. In a first-of-a-kind move for NASA, a Space Act Agreement was signed May 14 so the university soon can resume spacecraft operations and data management for the mission using private funds." Keith's note: Wow. Is NASA going to adopt this approach for the reuse of other spacecraft? This could be very interesting. What is Happening: IT Labs is the Technology and Innovation Program for the NASA Chief Technology Officer for Information Technology. The goal of IT Labs is to leverage expertise across the Agency to identify challenging problems, ideas, and solutions and integrate IT solutions and innovations into the Office of the Chief Information Officer service model. IT Labs wants to fund your innovative ideas for IT-related solutions that can be used across all NASA centers. NASA's IT Labs Program http://labs.nasa.gov/ will be accepting proposals during its First Annual Project Call from May 14 through June 15, 2012. This is your chance to help solve challenging Information Technology problems and introduce new technologies across the Agency. If you have an idea, please coordinate with your NASA Center Chief Technology Officer (CTO) to submit a proposal on the IT Labs website. IT Labs will review all submissions and fund a limited number of projects. "Universities around the world are now working together to understand what is happening at a micro-level in the plasma clouds. When they have found the answers, the space experts will be able to forecast space weather, just like meteorologists forecast the Earth's weather every day. UiO has developed very small instruments that can measure micro-structures and turbulence in the plasma clouds. The instrument consists of four needles that can be mounted on satellites about the size of a milk carton. No one else has managed this." "A partnership with the UK's Faulkes Telescope Project promises to boost the Agency's space hazards research while helping students to discover potentially dangerous space rocks. ESA's Space Situational Awareness (SSA) programme is keeping watch over space hazards, including disruptive space weather, debris objects in Earth orbit and asteroids that pass close enough to cause concern. The asteroids - known as 'near-Earth objects', or NEOs, since they cross Earth's orbit - are a particular problem. Any attempt to survey and catalogue hazardous asteroids faces a number of difficulties. They're often jet black or at least very dark, they can approach rather too close before anyone sees them, and they're often spotted only once and then disappear before the discovery can be confirmed." "Several weeks ago NASA and a number of sponsors held the International Space Apps Challenge. The intent was to enlist people from all across the world to create solutions to problems and issues associated with spaceflight. The participants were truly spread out across our planet including Antarctica with support from the crew aboard the International Space Station. ... I think it is inexcusable that NASA has not made more of an effort to promote things such as the International Space Apps Challenge - especially when the White House places such a priority on things like this. There is much risk in this ad hoc and dysfunctional public engagement policy at NASA. Now that the first apps challenge event was such a success, efforts like this could continue - without overt NASA involvement - thus making NASA less - rather than more relevant." "Maker Faire, the Greatest Show (and Tell) on Earth, held on May 19 and 20 at the San Mateo County Event Center, promises a memorable weekend of creativity, learning, inspiration, and making. From learning about Arduino and 3D printing, to interacting with robots, a life-size electric giraffe and mobile muffins, Maker Faire has it all. In addition to well over 700 Makers exhibiting their amazing creations at the festival, speakers, special events, and other highlights of the weekend include:"
"Autonomous robots created by 11 teams of engineers from across the country will compete for a NASA prize purse of $1.5 million on the campus of Worcester Polytechnic Institute (WPI), in Worcester, Mass., June 14 -17. The challenge: design and develop the next generation of robots to explore the landscapes of other worlds. The NASA-WPI Sample Return Robot Challenge requires the competing teams to design and build an autonomous robotic system that will locate and collect a set of specific objects from a large area and return the "planetary samples" to the starting zone." "The Space Foundation's annual Student Art Contest winners are developing a reputation for actual space travel. Digital versions of last year's winners are all permanently in residence on the International Space Station. Two of this year's winners have traveled an additional 277,000 miles to the Moon and back. Two of the winning pieces of artwork -- both in the 6th - 8th grade painting category -- were selected by media artist Daniela de Paulis to be part of her worldwide OPTICKS project, which projected a total of ten digital images of artwork onto the surface of the Moon on April 28 and intercepted the altered reflections, thus creating new images." "Europe's finalists in the Space Lab challenge will join astronauts, scientists and Google managers at the European Astronaut Centre in Cologne on 16 May to discuss their experiment ideas and call ESA astronaut Andre Kuipers on the International Space Station. In October, ESA jointly launched the YouTube Space Lab, an exciting venture by YouTube, NASA, Japan's JAXA space agency, Space Adventures and Lenovo to challenge students around the world to design a science experiment for the International Space Station. The competition attracted thousands of proposals by teams and individuals from over 80 countries." "Challenged to design a background for a small rover controlled from space, students in Germany have delivered a futuristic cityscape. The cool space art will be seen by astronauts in orbit via the rover's camera eye as they remotely control their avatar later this year. The ultimate goal is for robot astronauts to roam around hazardous places like Mars and asteroids guided by human controllers safely orbiting overhead in their spacecraft. As a first step, ESA is linking the International Space Station and Earth for remotely controlling terrestrial test robots from the orbital outpost." Coalition for Space Exploration video contest: "Why Explore Space?" Today, the Coalition for Space Exploration (Coalition) launched a video contest, "Why Explore Space?" to hear from the American public about why space exploration matters to them. Participants are encouraged to share their ideas by submitting a video. The creator of the winning entry wins an iPad3. Entries must be submitted by May 19. From there, the public will vote on the best videos. The top five videos will become semi-finalists and a panel of judges from the Coalition will crown the winner. Entries will be housed on the Coalition website, with the winner's entry moving on to Washington, DC to be shared with national leaders. A Queen's University researcher has created a Star Trek-like human-scale 3D videoconferencing pod that allows people in different locations to video conference as if they are standing in front of each other. "Why Skype when you can talk to a life-size 3D holographic image of another person?" says professor Roel Vertegaal, director of the Human Media Lab. Expedition 31 Flight Engineer Don Pettit of NASA has taught more than half a million internet viewers how microgravity affects scientific principles by using everyday objects on the International Space Station. In the latest video, Pettit takes his demonstrations to the next level by using sound to oscillate water placed on a speaker and letting the droplets fly. The investigation is part of "Science off the Sphere," a video series featuring experiments of Pettit's own design intended to show scientific possibilities on the frontier of space. NASA and the American Physical Society, or APS, developed a partnership to share the videos with students, educators and science enthusiasts across the globe. "The research program to make the wearable technology shown here engaged students from the University of Minnesota and could have future commercial applications. In these videos NASA Public Affairs Officer Lynnette Madison talks with Human Interface Engineer Cory Simon about wearable technology containing sensors, displays and controls to assist future astronauts and augment their capability to perform more elaborate and complex tasks and with students of the University of Minnesota." "Orbital Technologies Corporation, "ORBITEC," has been awarded two new NASA contracts for engineering support and flight hardware production related to life science activities on the International Space Station. The programs awarded were for ORBITEC to support the development and flight of the "VEGGIE" system and the Advanced Plant Habitat at the NASA's Kennedy Space Center for the space station. VEGGIE, an expandable and deployable vegetable system, was developed by ORBITEC to grow salad crops to supplement prepackaged foods during long stays in space. The primary goal of VEGGIE is to provide flight crews with palatable, nutritious, and safe sources of fresh food with minimal volume and operational resources. Significant, beneficial plant and life science experiments can also be conducted in the VEGGIE system. VEGGIE is designed as a very small module during flight stages and is later "unfolded" for growth operations." "NASA's third annual Summer of Innovation (SOI) project is underway. The project is providing hands-on learning opportunities for middle school students and educators through NASA-unique science, technology, engineering and mathematics (STEM) educational activities during the summer school break. SOI is a key component of the agency's broader education program to increase student interest in STEM courses, particularly among those in underserved sectors of the academic community. SOI uses NASA's out-of-this-world missions and technology programs to boost interest in STEM among middle school students by offering interactive learning experiences. This year, a major portion of the SOI content focus will be on Curiosity, a NASA flagship science mission currently en route to Mars and scheduled to land Aug. 6." "XCOR's innovative piston pump technology took a ride from Roswell, NM to Mojave, CA in April 2012. "We debated how best to put many hours of wear time on the critical bearing components of our rocket propellant piston pump, that are subject to significant wear and tear," said Dan DeLong, XCOR Chief Engineer. "This particular motorcycle, the Triumph Street Triple, develops about the same horsepower and has the same cylinder arrangement as the liquid oxygen and kerosene fuel pumps for the Lynx suborbital spacecraft. That makes it ideal for a long-life pump test platform. The bike is much less expensive to operate than the full up rocket pump test stand. We're adding hours of run time each ride, not just minutes." "Global sustainability leader William McDonough, founding partner of William McDonough + Partners, and his team were recognized for their work on the new NASA Sustainability Base, located at NASA Ames Research Center in Silicon Valley. NASA Ames officials, including Associate Center Director Steve Zornetzer, recently commended the firm for their work on the project as the lead architect and design firm and especially for creating an innovative, Cradle to Cradle(R)-inspired design for the new building--all within conventional budget and schedule." "A technique for synthesizing a high-tech material technology, jointly developed by NASA Langley Research Center, the U.S. Department of Energy's Jefferson Lab, and the National Institute of Aerospace (NIA), was recently licensed by BNNT LLC of Newport News, Va. In a signing ceremony on March 22 at the NIA, BNNT LLC acquired the intellectual property rights for making the material called fibril boron nitride nanotubes (BNNTs) available for scientific and commercial research, development and products." 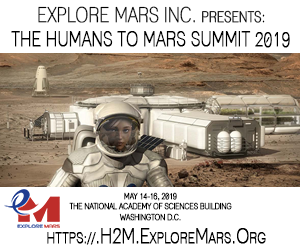 "Students from across the nation will gather at NASA's Johnson Space Center in Houston May 2-5 for the annual NASA Explorer Schools Symposium. These future leaders in science, technology, education and math, or STEM, have completed research investigations and will present their findings to a team of NASA scientists and engineers, student peers and educators. The competitively selected group consists of 60 students in grades four through 12 and 30 educators from 21 states. The group's research projects were designed to inspire interest in STEM disciplines and encourage pursuit of technical careers."